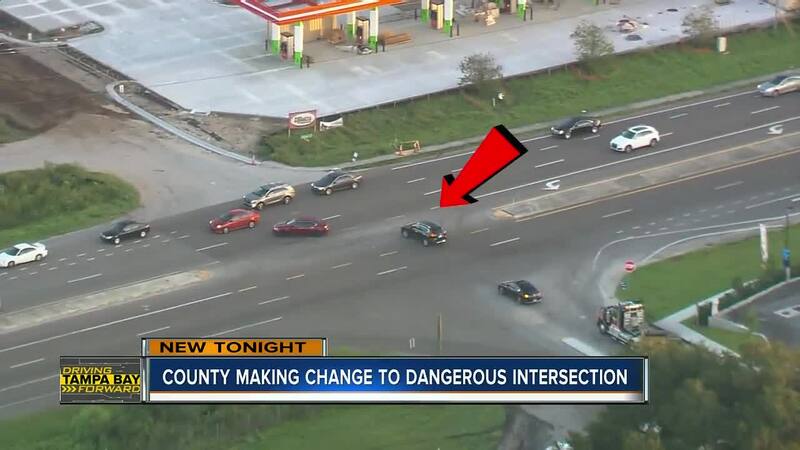 As part of our commitment to Driving Tampa Bay Forward, ABC Action News has been following a dangerous intersection where drivers have to cross five lanes of traffic to turn left. RIVERVIEW, Fla. — As part of our commitment to Driving Tampa Bay Forward, ABC Action News has been following a dangerous intersection where drivers have to cross five lanes of traffic to turn left. On Monday, the 19th workers with the county's public works department came to turn on the temporary light signal at the intersection of Fern Hill and Gibsonton. 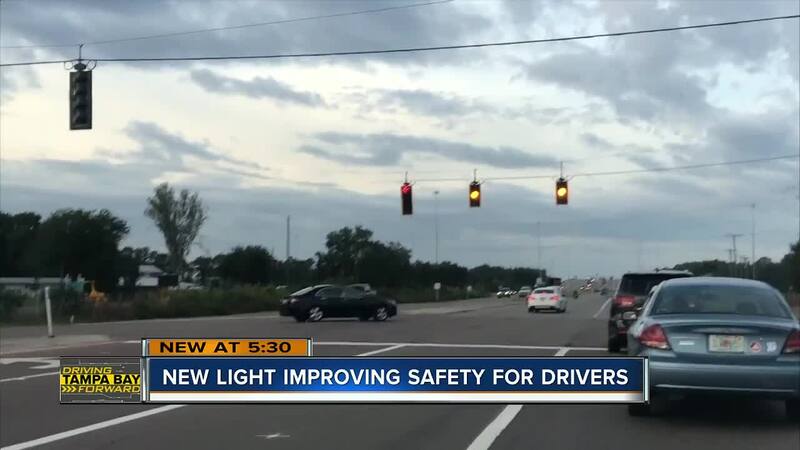 ABC Action News first reported the problem in early October where drivers say they worry about turning left at Gibsonton because it does not have a stop light. After our story, a major employer in Hillsborough County stepped in asking for help at that intersection that drivers call dangerous because of the left-hand turns. Ring Power, with nearly 500 employees took the first story by ABC Action News and requested help from County Commissioner Stacy White to expedite the process. Originally the county said it would take three years to put in a light because of the permitting process, land acquisition, and the design phase. On Wednesday, ABC Action News was invited to a closed-door meeting with Ring Power representatives, a county engineer and Commissioner Stacy White. The county revealed they will put in a temporary light in the next three weeks until a permanent solution can be made. Vicky Wood has lived near the intersection for 21 years and said they’ve tried for years to get a light. “We have begged, we have pleaded,” she said. Shane McLaughlin with Ring Power said the private company is worried about their employees, and their neighbors. “We want to be good neighbors,” he said in the meeting. The company offered to pay any upfront costs to expedite the process, but as of now, the light was approved for funding several years ago. McLaughlin said they encourage all employees, clients, and vendors to make a right-hand turn at Fern Hill Drive, followed by a U-turn. He went on to say that all Ring Power company vehicles must turn right. The county is waiting for a final permit from DOT to install a temporary light that will be on wooden poles for now. A county engineer said the temporary light would make this area safer, but it will not improve congestion along this area until a final light is put in. On Monday, a county spokesperson said the final light is down the road in 2021, when they are able to add turn lanes, finish land acquisition and other details in the project.